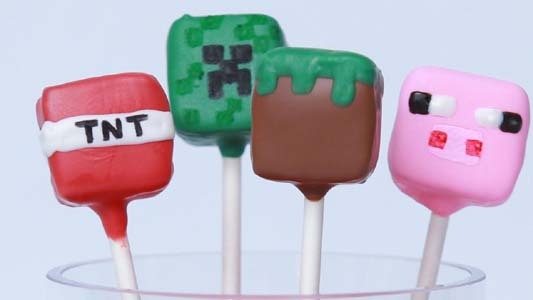 Today I found this amazing video about how to make Minecraft candy pops. 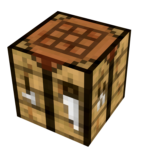 This video is made by Rosanna Pansino. Firstly unwrap the candy and poke a hole on one side of the cube using a skewer, melt some brown chocolate, dip the top of the lollipop stick with it and put the lollipop stick in the hole. Secondly, put it all in the freezer for 10 minutes. Meanwhile, melt all the chocolates and put each one into a separate cup so it is easier to dip. Next, dip some of the candy in the brown cut, then the top of the candy with green and with a brush paint little squares in green to make it realistic. Place the candy pop in the foam cylinder. 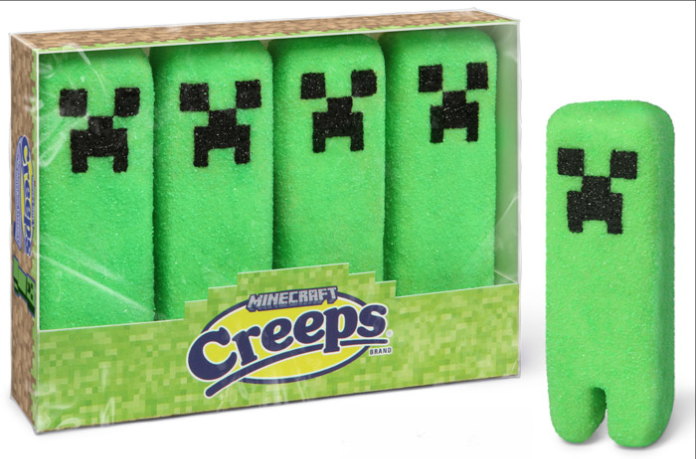 Now dip some of the candy with green and with a black edible pen draw a creeper face on it. Dip some of the candy left in the red cup, with a brush paint a white stripe on the middle and write “TNT” on each side. Finally, dip the rest of the candy in the pink cup and using the rest of the colors draw a pig’s face on it. Now you are done and you can enjoy this delicious candy pops!